The Primary Peach: Sweet Treats: Let's Make Some SWEET Treats! Hey guys! It's Amy, from The Land of 2nd Grade. Can you believe we are already 1 month down in the year of 2016??? CRAZINESS!!! Well first, I have a fun freebie for you guys! I LOVE making fun snacks with my class!!! Especially themed ones. So for February there are lots of themed snacks you can do. I usually do my themed snacks for Fun Fridays as a reward for great behavior and hard work. I don't do them EVERY Friday, but I try to do a few a month. For February, I put together a little packet for Groundhog Day, Valentine's Day, and President's Day snacks. 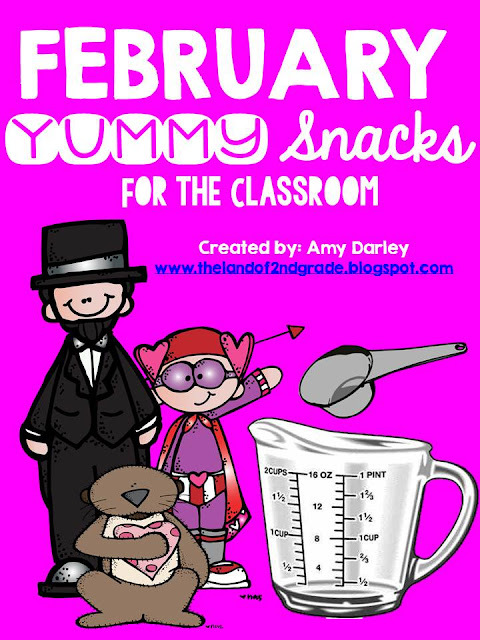 In the packet you get a snack list, you could send home for parents to sign up to send an item in, you get teacher directions, and recipe sheets for the kids to fill out (this is great for sequencing). Making learning FUN right!?!?! 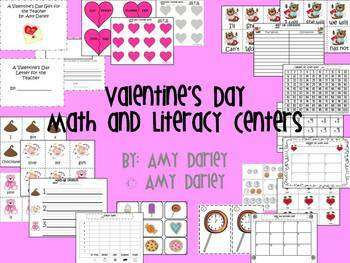 I also have some fun centers that you can find in my TPT store. If you click on the picture below it will take you straight to these fun centers that you can use for Valentine's Day. For even more ideas from The Primary Peach, be sure to follow us on Instagram,Pinterest, and Facebook to catch all the latest news and updates!